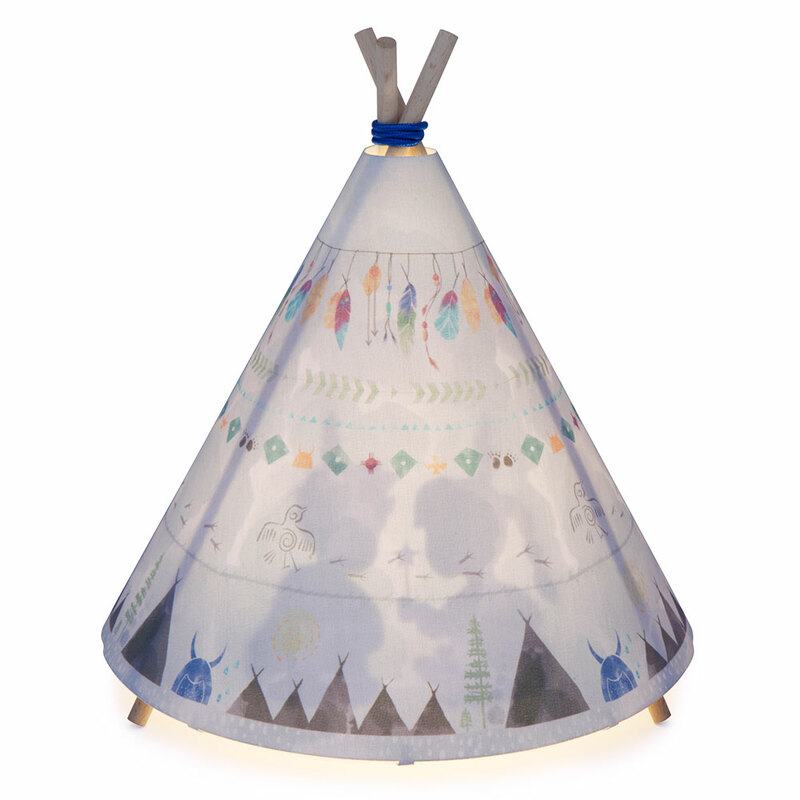 An instant Micky & Stevie classic, gorgeous Teepee in Blue & Grey watercolour style with real wood sticks. Lo-voltage transformer, LED globe, 25cm diameter x 28cm tall. * Teepee Table Lamp - Blue | Grey ships as a large parcel and does not qualify for FREE SHIPPING offers.